Rambony can now be adopted online and at the shop when visiting! Rambony and Sadika are our mischievous ring-tailed lemurs! 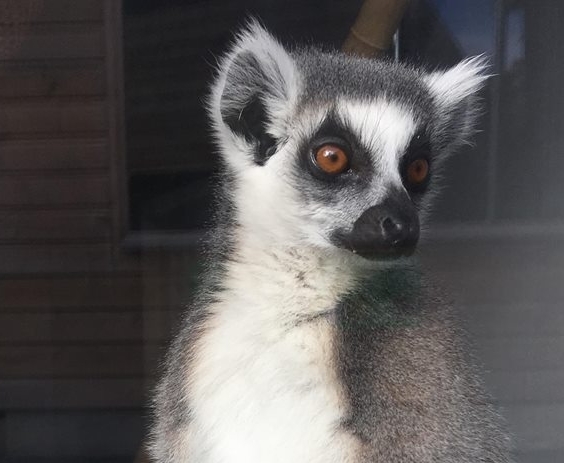 Like most ring-tailed lemurs they love to sunbathe and to eat, but they also love to hide. Their keeper Ciaran has to keep his wits about him, because these two like to team up and hide in a corner of their enclosure. There’ll be very quiet… And then suddenly two pairs of piercing eyes are staring out from their hiding place! They are inseparable; if you’ve found one of them, then you’ve probably found the other too!